Words are very important for the functioning of our lives and the type of words we use every day to communicate with our environment depends on the way we function. Words can be our worst enemy or our best ally. It is necessary to generate a new language culture and create different methods of linguistic-emotional security that can benefit all the steps involved in education. Educating in a Positive Language explains the wonderful project “Words inhabited”, developed in the IES by Professor Julio Pérez and offers the possibility to teachers, parents and students to become more aware of the language they use daily, with themselves and with others, to later understand the value of words and their infinite positive possibilities that can be applied to the academic and family environment. 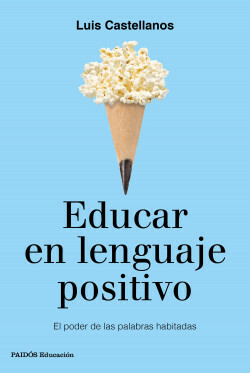 A very practical guide full of resources and concrete examples for parents and educators so that they can improve their children’s education through language and words. The power of inhabited words. Luis Castellanos explains the important role that language has in the education of our children. He is a best-selling author on positive language with over 10,000 copies sold of his titles on the subject.